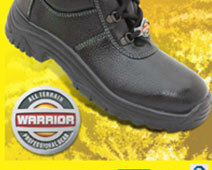 Here is a guide on how to fit safety boots and shoes. Some very good information to make sure you get a good fit and comfort. 1.) Try the boot on, push your toes to the front until they touch, your index finger should fit in behind your foot. 2.) Make sure that the ball (the area of protrusion at the base of the big toe) of your foot fits well at the widest part of the shoe. 3.) 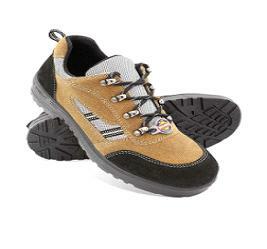 Steel toe boots need to be fit about a half size larger than normal footwear. 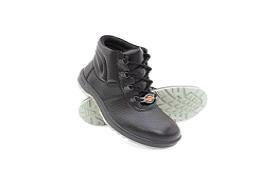 Since there is a steel toe cap there is no stretch in the toe box area. You do not want your toes to the end of the boot! 4.) Lace the boot up, look at the laces, is there a bit of a bulge in the middle? There should be. If the laces progressively narrow the boot is to big or two wide. 5. )Are there any areas of the boot, which seem to be tight on the foot? Snug is good, tight is bad! 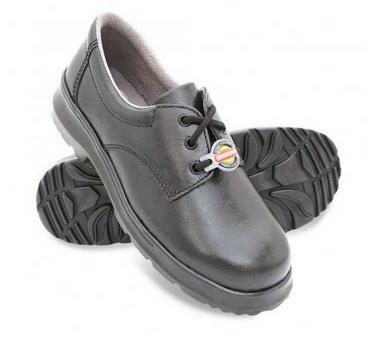 Don't expect steel toe safety shoe to stretch to fit your feet. If it does not feel new, it probably will not later. 6.) Walk around a while and get a feel for how the boots feel. You should keep the boots on your feet for about 15 minutes. Flex the boots to make sure they bend in the correct place and do not dig into your foot. How much room is behind the foot? It should be close to the width of the finger. Are there any areas of irritation? 7.) If the boot does not fit comfortably and provide enough room to wiggle the toes then try another model. Size may vary between brands and styles, rely on fit not the size on the box. Footwear may even vary slightly within the same style. 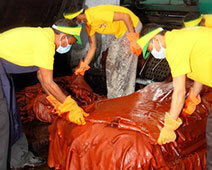 Many of the problems with fitting safety footwear result from poor fitting! Take the time to get your foot measured and find a quality boot that fits your foot with comfort. We hope this helps you get a good fit with your safety boots.